Cash Diamond Loans at Our Mesa Pawn Shop! Sometimes things happen in life where you find yourself faced with the necessity of generating a significant amount of cash in a very short period of time, and there are simply not very many ways to accomplish that, short of accidentally winning the Lottery. One great way however, is to arrange for a diamond pawn loan in Mesa, Arizona at our pawn shop store, where you can always count on receiving the most amount of money for your loose diamonds, or any kind of diamond jewelry that you may have in your possession. As long as you are the sole legal owner of these valuable diamonds, we can arrange for a diamond pawn loan that would put cash in your hands very quickly, in a no-hassle agreement that would get you through your financial crisis, and give you the opportunity to pay back the loan over the course of three months. If your financial difficulty persists and you find yourself unable to make one or more of those monthly payments, your agreement with us can still be maintained in good standing by simply paying on the interest portion of any given monthly installment. The principle amounts of course, would also need to be paid down in order for you to resume ownership of your diamond valuables, but the pawn loan can be extended an additional 90 days at your option, when your budget simply won’t allow for the usual full payment to be made. Since the value of diamonds remains relatively constant, you can always count on getting a good sum of cash when you bring in your diamond items to our pawn shop store in Mesa, Arizona. Our expert jeweler will appraise your diamond items right in your presence, so that you can have confidence in receiving a fair and accurate assessment. Literally within minutes, you can have the money that you need to get past your financial crisis. 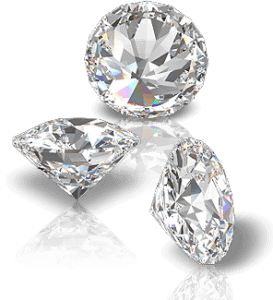 If you have any question about the potential value of some of the diamond assets you may have in your household, by all means, give us a call at our pawn shop store to receive a tentative quote on your items. It must be kept in mind however, that this would only be an estimate of value, and that the fairest and most accurate evaluation could only be done on the premises by our jewelry expert. Wherever you happen to live in the great state of Arizona, for instance in nearby Chandler, Tempe, Scottsdale, Phoenix, Apache Junction, or Gilbert, it will be worth your while to take the short drive into Mesa, where our store is located, and have your valuables assessed, so that we can quickly arrange for a diamond pawn loan that will ease your monetary constraints. Not only will you receive the best possible payouts from us, you will also receive outstanding customer service and prompt attention, because we are also in the business of satisfying our customers to the greatest possible extent.